Arabella Ashby is a Patrick O’Brian girl in a Jane Austen world — born and raised on Mars, she was hauled back home by her mother, where she’s stifled by England’s gravity, climate, and attitudes toward women. When she learns that her evil cousin plans to kill her brother and inherit the family fortune, she joins the crew of an interplanetary clipper ship in order to beat him to Mars. But privateers, mutiny, and insurrection stand in her way. Will she arrive in time? 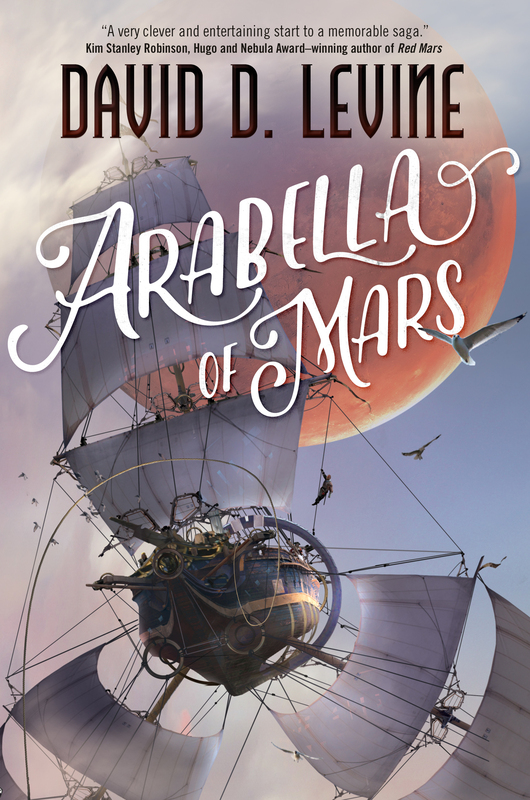 Arabella of Mars will appeal to fans of Naomi Novik’s Temeraire books, Scott Westerfeld’s Leviathan trilogy, and Mary Robinette Kowal’s Glamourist Histories, all of which are fast-paced adventures combining a historical setting with a fantasy/SF twist. A novelette in the same universe, “The Wreck of the Mars Adventure,” appeared in Locus Award winning anthology Old Mars, edited by George R. R. Martin and Gardner Dozois; another related novelette, “The End of the Silk Road,” appeared in F&SF. Arabella of Mars is published by Tor and is now available in hardcover, ebook, and audio formats from Powell’s or anywhere else books are sold.